For those that celebrate Kitschmas, you might want to go all out on your holiday decor. In that case, may we suggest the Pretty in Pink Christmas Tree to add some bright color to your living room? The vivid hue will do a lot for your tiki ornaments and holiday Hawaiiana, for sure. If you have a smaller space to work with, a smaller, funkier tree might be just what you need. 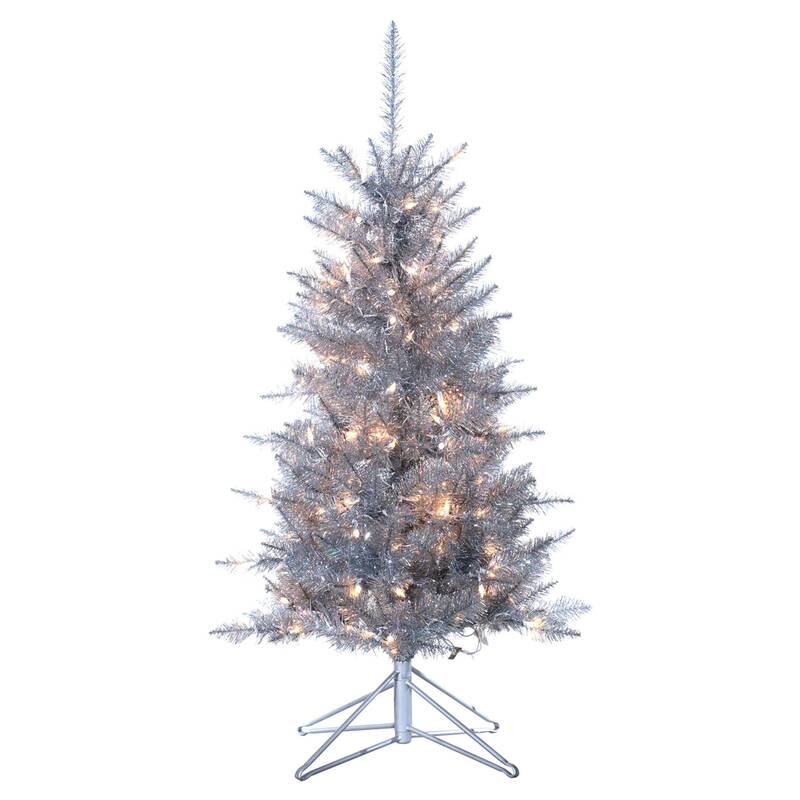 This 4ft Pre-Lit Artificial Christmas Pine in Silver Tiffany is the perfect solution, with a classic aluminum look and a silhouette worthy of A Charlie Brown Christmas. You can’t dress up your tree without giving it a fancy skirt! 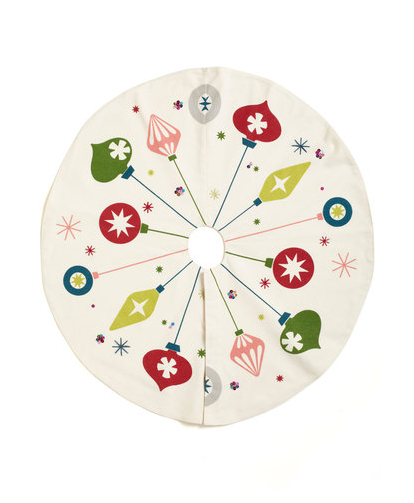 There are a ton of vintage tree skirts on Etsy, but we’re pretty fond of this clean and funky offering, the Ornament for You Tree Skirt, inspired by the midcentury patterns of old! If you had an aluminum tree growing up, chances are you already know what this is. That’s right, it’s a color wheel, ready to turn your shining tree into a revolving sea of colors all season long. 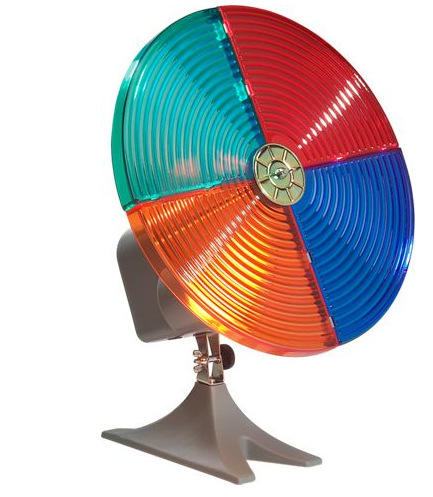 With this 4-shade Color Wheel, you can finally relive your childhood in your midcentury ranch. Christmas trees, real or fake, are a pretty large commitment, even for those who love Kitschmas. 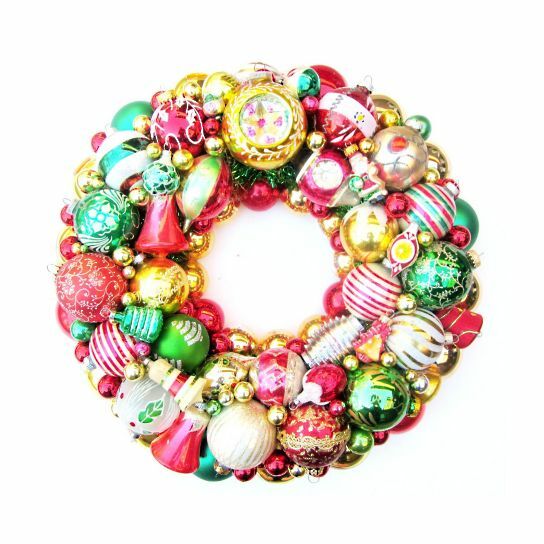 If lugging out a huge pre-lit silver tree isn’t in the cards for you, dress up your ranch in other ways, such as with one of these colorful and glistening One of a Kind Traditional Vintage Ornament Wreaths. 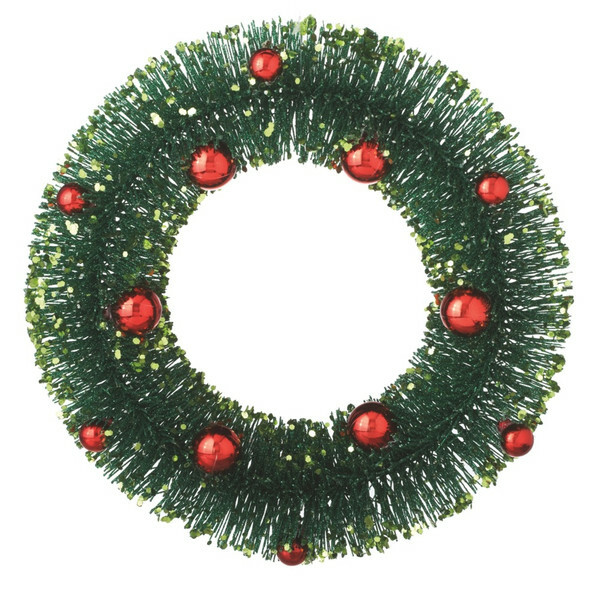 For veterans of the midcentury Christmas, the bottlebrush wreath is nothing new. But that doesn’t mean we don’t love it any less. Your fireplace or front door would look extra snazzy with the glittery perfection of the Classic Christmas 11.5-inch Bottle-Brush Wreath.